Occasionally, we like to give you a closer look at some of our favorite races. 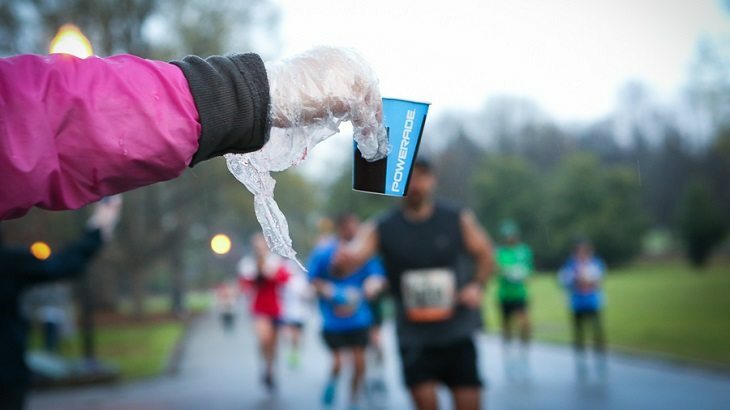 Recently we shared our experience at the Great Aloha Run, an event that draws over 20,000 runners each year. This time we’re heading to the Texas hill country, grabbing our bike, and bringing you the awesomeness of the Blueprint for Athletes Austin Rattler Run & MTB. It’s officially race season! With the completion of the 4th Annual Austin Rattler Run and MTB, the qualifiers for the Blueprint for Athletes Leadville Race Series have officially begun. The Austin Rattler Run and MTB is a weekend of endurance events located approximately 40 miles outside Austin at the Rocky Hill Ranch. The Ranch is a picturesque, 1500-acre area full of pines, ponds, and miles upon miles of classic Texas singletrack. The Austin Rattler offered three run distances: the traditional 66K, 33K and a brand new 10K. On the MTB side, distances included the solo 100K, solo 33K, two-person 66K relay and 3-person 100K relay. Most participants complete one race and call it a day, and who can blame them after biking 100 kilometers? However, there are some who go above and beyond, following up the bike race with a casual 66-kilometer run the next morning. The King and Queen do not have to win either race to be named, but those chosen are often near the top of the pack with the best combined times. The 2017 Austin Rattler King and Queen of Rocky Hill Ranch were Wesley Sandoval and Michele Yates. Sandoval not only managed to keep his crown for the second year in a row, but set a King record in the process with a combined bike and run time of just under ten and half hours! Yates, who only registered that morning, was coming off her first ever mountain bike race. Both, along with all other winners, automatically qualify for the Leadville 100 Trail Run later this year. As mentioned, the Austin Rattler kicks off three months of races all over the country to qualify for coveted slots in the already sold out Leadville Trail 100 MTB & Run, scheduled for August 12 and 19 respectively in Leadville, Colorado.For each of the twelve qualifying events, twenty-five to one hundred slots are awarded to participants who meet a certain pace. The biggest catch and/or draw? The elevation. This extreme “race across the sky” started back in 1983 with just 45 athletes. Today, it hosts thousands of enthusiasts hoping to win, or even complete, the high elevation contest. 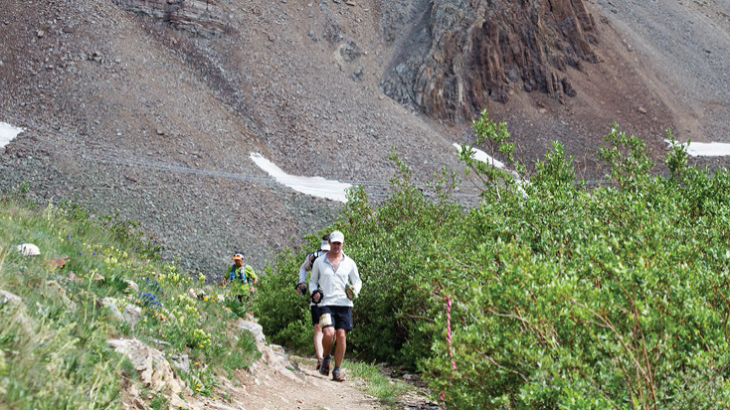 The Leadville 100 starts at a paltry 10,152 feet elevation and climbs as high as 12,424 feet. Talk about having your head in the clouds! If you didn’t make it to the Austin Rattler Run but still hope to qualify for the Blueprint for Athletes Leadville Trail 100 Run presented by New Balance, don’t worry! The next qualifying races are the Wilmington Whiteface MTB on June 3 in Whiteface Mountain, New York and the Leadville Marathon and Heavy Half on June 17 in Leadville, Colorado. This year, the Austin Rattler Run and MTB teamed up with 787 Racing, an Austin-based nonprofit, to help sponsor the event. One hundred percent of donations made go back to the community. 787 use said donations to maintain and improve multi-use trails at Buescher State Park outside Smithville, Texas. Learn more at 787racing.org. Click the links for a full list of participants from the MTB and Rattler Run. And it's Tristan Uhl with another win at the #AustinRattler MTB! Great job in a tough lead pack. Tristian Uhl crosses the finish line to win the Solo 100K MTB. Video from facebook.com/Youphoriaproductions. Feeling inspired? If you are interested in competing in the Austin Rattler Run & 100 MTB next year, you are in luck! Early registration is now open for the 2018 MTB, run, and King & Queen on April 7 and 8 respectively. If you’ve been to the Austin Rattler, let us know about your experience and don’t forget to claim your results and connect with the community on Athlinks.com!